Much like the bicycle-trend in China where millions of people in cities across Asia use rental bicycles for short-distance travel, the United States is now in the middle of an scooter-sharing boom. You won’t believe it. But electric scooters are taking over San Francisco. Made available to rent using phone apps, electric scooters are taking over cities in the United States the same way bicycles have proliferated across Asia. Companies like Bird, LimeBike, and Spin have spread so quickly that cities are struggling to figure out how, or if, they should regulate how people use these deckless scooters. Similar to bike-sharing in Asia, local residents complain about obnoxious parking, riders taking over pedestrian sidewalks and scooter trend especially introduce a more significant safety concern than bicycles. However. 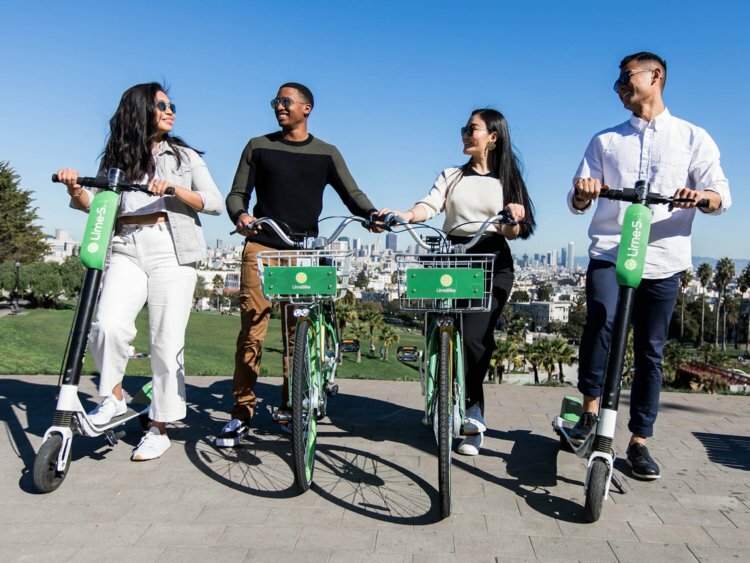 the bike-sharing trend is healthily growing with LimeBike being the favored competitor having raised US$50 million in funding from Andreessen Horowitz and Coatue Management. Despite that, the surprising fact though is that the company winning in this trend according to Axios is Xiaomi. Yes, the Xiaomi. The Chinese company has a product called the Mi Electric Scooter and the report states that it is what is personalized by Bird, BlueDucks, and Spin. Besides that, Ninebot another scooter designer company cashing in on the trend is also a Chinese company. While it remains to be seen if scooter sharing can become a cultural institution like ride-hailing or if it’s a passing trend, undeniably the healthy competition will play a big role in fueling this electric scooter startup wars in the near future. Is Internet killing retail? Summit Media, a publisher in the Philippines is stopping its line of printed magazine as it shifts its titles online. 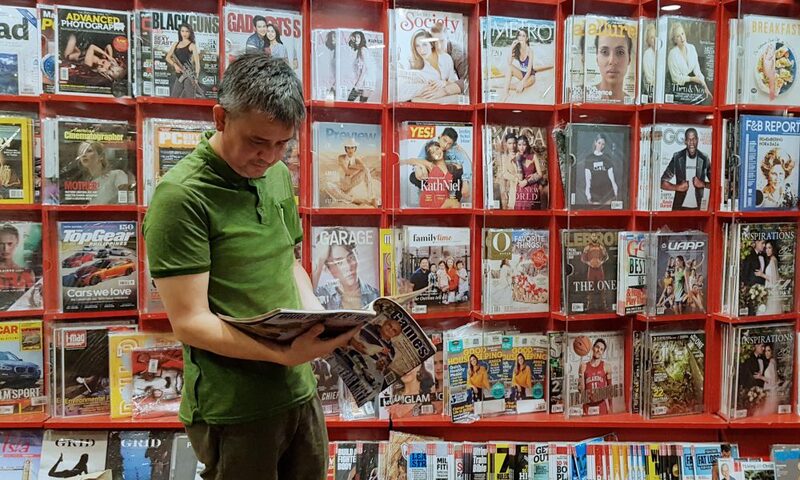 That is starting from today, Summit Media, the publisher of popular magazine titles in the Philippines will no longer be producing print editions of magazines in its network and is going fully digital. This announcement from Summit Media is a transformation long brewing in the midst of the changing publishing landscape. For its full digital transformation, the 450-strong company will be closing down six remaining print editions of brands already thriving online. This thus marks the end of Summit’s 23-year run as a leading publisher of magazine titles. Summit Media president Lisa Gokongwei-Cheng explained that this move is to embrace the preferences of the highly connected audiences which now prefer to consume content. Currently, the company’s websites that bring its popular magazine brands online boast of over 20 million unique monthly users and 33 million followers on social media platforms. It declares itself as the Philippines’ leading digital lifestyle network as well as belonging to the country’s top two local digital media companies. Of course, this move is not unique and coincides with Mediacorp’s decision to also axed a number of its lifestyle magazine titles, with the closure of 8 DAYS, i-Weekly and ELLE. That said, a different story is ongoing for the online retailers as they move from clicks to bricks. Question is, among all these changes, can media-based business owners still eke out a living? After startups in fintech and deep tech, it’s time we talk about food. As one of the most deep-rooted industries, for food startups, it can be one of the trickiest to navigate and innovate, especially with a plethora of factors to consider such as the taste of the customer and so on. However, the industry is, of course, one of the most lucrative industries since everyone loves to eat. In Southeast Asia, the food industry is looking at a trend of food delivery startups and it is one of the hottest sectors right now for both venture capitals and startups. Currently, online food orders represent 15 percent of a massive US$70 billion market and the digital savvy consumers in Southeast Asia are quickly moving online to do everything, and this includes ordering food. Nowadays we are expecting more diverse options beyond pizza for delivery. Food startups in Asia know this and you can see that there is an overwhelming focus on the food stand layer, which is establishing new consumer experience on how we eat. Publics are especially searching for efficiency and drive for more healthy food. This sparked meal prep companies like Malaysia’s DahMakan, Singapore’s Eat Fit Meal Prep, and Jakarta’s Burgreens which provide customers healthy pre-made meals. This is a solution for busy city folks as these startups provides a convenient way to eat healthier and improve their lifestyle amidst busy schedules. This skips out the research, preparation, and cooking which makes more consumers turn to meal-prep experts to tell them exactly what they need to eat. 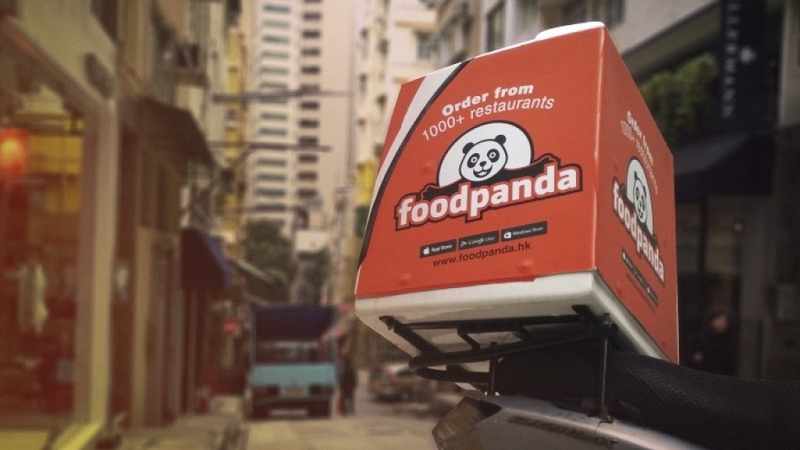 It’s not just food startups, the crowded online food delivery market is also joined by logistic food delivery services like Foodpanda, Deliveroo, and UberEats – all of which are incorporating food into their marketing strategy. Of the bunch, Go-Food, Go-Jek’s food delivery business has been successful in converting customers. The subsidiary claims to be the second busiest on-demand food delivery service in the world, outside of China. Aside from delivery, startups like Instaburp from the Philippines are also resolving two problems at the same time, aside from connecting hungry foodies to their favorite food establishments, the startup is also helping small and medium food businesses to establish an online presence and reach a new market. Meanwhile, other startups that are making their way in the industry are startups that want to satisfy instant gratification. Successful startups like Thai-based QueQ and Singapore Chope is catering to this demand, solving customer’s waiting time and streamlining the process in restaurants to enable them to serve more customers. As the food industry continues to thrive and more startups enter the market – their innovation will change our experience in eating and the future of food. Imagine entering into a house that is to be built in the next 5 years. Or looking to your left and seeing the Eiffel Tower, which you will visit on your trip to Paris next month. Such scenarios are among the visions promised by Augmented and Virtual Reality (AR/VR) – and it’s easy to see why the hype surrounding the industry has extended over the decade. However, since then, we’ve witnessed the quiet failure of Google Glass, the passing fad of Pokemon Go, and the somewhat controversial Magic Leap. Augmented and Virtual reality tech, despite that still hasn’t become mainstream. While multinationals and venture capitals are still interested in the potential of AR/VR which stretches beyond industries, it has slowed down since its heights in 2016. The decline for AR/VR begin at the start of 2017 and has been on the drop since then. According to Crunchbase, in the first quarter of 2017, only 26 companies with AR or VR-focused businesses raised a disclosed funding round. Together, the firms raised just over US$200 million. Moving on to 2018, it has been a quiet start for the VR/AR technology. But that’s not to say there hasn’t been progressing in the field – the technology is gradually gaining ground in Asia, with China consumers leading the region. In the Philippines, Zipmatch, an online real estate platform is one of the first companies in Southeast Asia to implement VR technology on a massive scale. Their 360 virtual reality service, accessible via both the website and mobile, showcases more than 300 properties. This allows brokers to show potential buyers the property in a more experiential and immersive way while forsaking the need for an actual visit. The new technology makes it easier for home buyers to check out real estate projects they are interested in, with or without a pair of 360 Virtual Reality goggles. In a small cafe at Beijing, there’s also a development towards the next phase of cinema through the implementation of virtual reality. Yue Cheng Technology’s cafe is a tiny one-seater, and customers who buys a drink can try its VR set for free. It also has a second cinema, where customers can pay US$5 to US$12 to watch VR movies inside a big-box electronics retailer. 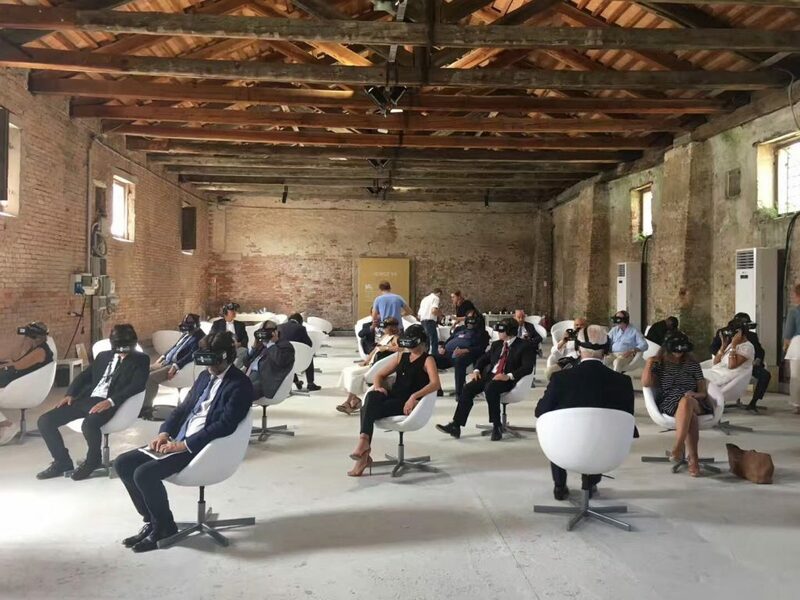 While the idea of virtual reality cinema is natural and complementary, the experience is still in the beginning stages and generating profit continues to be a struggle. Nevertheless, this constitutes a new channel for filmmakers and marketers, opening up diversity in the design and layout of immersive storytelling. On the other hand, Chinese media giant Tencent has also been investing in VR entertainment, having invested in live-streamed VR concerts for music artists as well as purchasing the rights to 300 Japanese anime franchises. The thing is compared to other countries in Asia, China is especially good at pushing VR to the mass market. 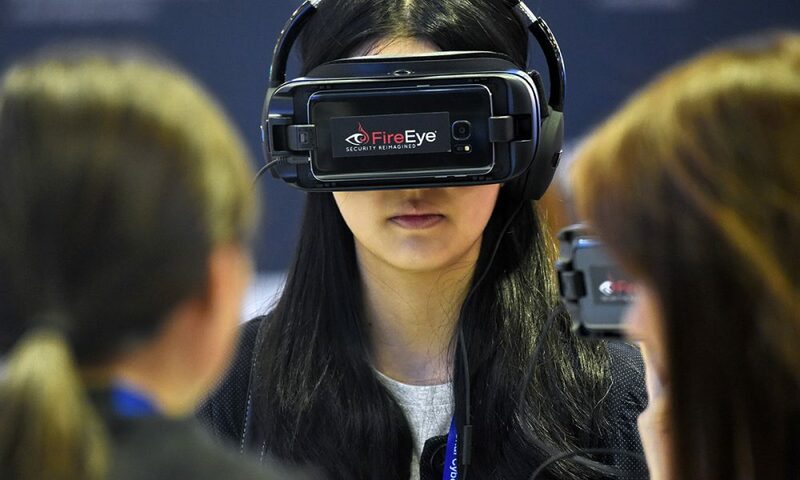 Nationwide, VR cafes and experience zones are springing up, and taking the lead in this tech adoption is ecommerce giant Alibaba. In 2016, the ecommerce featured its virtual reality shopping platform over Singles Day, reshaping the retail industry. The integration of AR/VR into retail models transformed the way people shop and influence how retailers can design their stores and user experience. It can be effective in gaining customer loyalty through adding personalization and enhancing customer experiences. With shoppers being able to experience full retail environments via their smart devices, Southeast Asia is one of the world’s most mobile-centric region, pose a massive potential for brands to win customers at the point of sale with VR/AR. 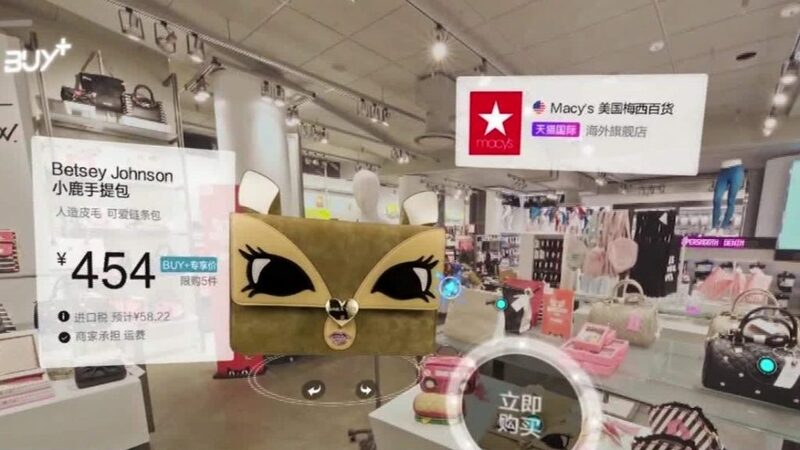 Augmented reality has also found its way into Asia’s fashion retail space. Metail, a fashion startup has made an impact in the fashion retail industry, through a virtual fitting room technology which can show shoppers how a dress would look on them without the need to physically try them on. When it comes to buying clothes, this ability for size visualization discovered by Metail fills the space where customers want to see how clothes look and fit their own personal shape. Then there’s the fun and games, which is the most closely associated industry with this tech. From virtual reality theme parks like EXA Global to the nostalgic augmented reality Pokemon Go, AR/VR technology is pervasive in gaming. There’s The Void in New York and then there’s EXA Global in Southeast Asia. Melding real-world environments with hyperreality, the startup is a hype reality theme park that allows players to enter into a world to save the planet from aliens. 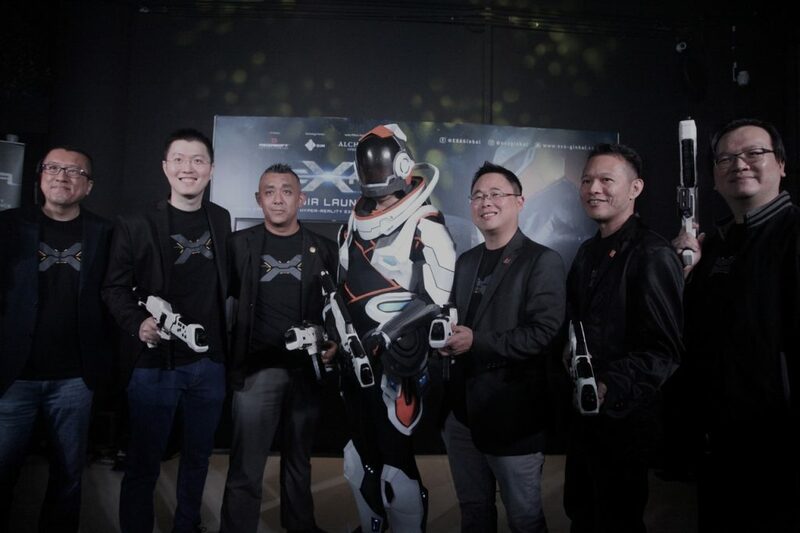 Besides immersive gaming, the startup also pioneers its hardware and gaming content in-house. The startup’s sister company Mediasoft is responsible for VR gaming content and has produced more than 50 original titles. From computer gaming to real estate tourism, education, and even health, the innovations of virtual and augmented reality can be seen. So why is the tech still not a widespread reality? Many said its an egg and chicken standoff – that even though the technology of headsets has developed, the industry generally still lacks the content needed to supply. But without a large enough audience to appeal to, media companies wouldn’t produce VR content. And although the pervasive use of mobile in Asia can be the solution to the hardware problem, but still there are challenges that need to be overcome. According to Apple’s Tim Cook, that’s all-day battery life, mobile connectivity, and telco cross-subsidization. While it would take time for technology to catch up and for the tech to immerse into everyday life, but undeniably the gap between virtual and reality is definitely getting closer. The negative connotations which represent the exploitation of its high population demographics and low-wage advantage have brought forth the country rapid development and now the country is sitting on the laurels of high growth. Though we may still laugh at the labels of misspelled or wrongly translated English, it no longer bears the same weight. China now represents one of the largest ecommerce markets, rivaling the United States. In fact, Emarketer.com evaluated the total retail sales of different countries and discovered that both United States and China’s online business take one-fifth of the world’s digital sales share. 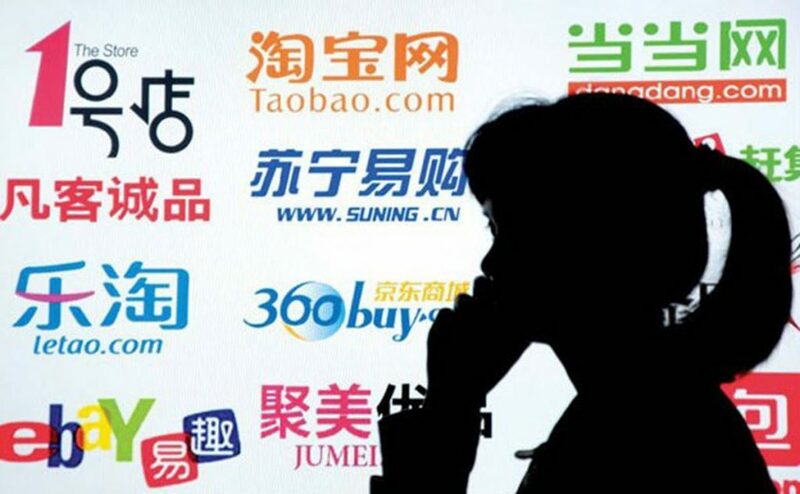 And despite the fact how American giants like eBay and Amazon technically built the ecommerce industry, the Chinese ecommerce players are gradually taking over. Over the past five years, e-commerce growth in China has exploded – accounting for an average of 43 percent growth, with online sales now representing one-fifth of the total retail. This is just products. Consumers are also increasingly buying experiences and services online. The development of ecommerce also extends to export as statistics from JD.com shows that Chinese-made products, including popular smartphones like XiaoMi, sports equipment like Li-Ning, and household appliances like Midea are sold to more than 200 countries and regions in the world. In fact, according to a report by China’s Ministry of Commerce, the export transaction for China’s cross-border ecommerce has reached an amount of 2.75 trillion yuan, that is about US$415.3 billion in just the first half of 2017. Chinese electronics giant Hisense also disclosed that 520,000 of its televisions were sold out in less than 24 hours during Black Friday in the United States. Although this growth is partly attributed to China’s population size and the rise of urban middle class. A key characteristic to this strong ecommerce market in China is still due to the innovations are seen in Chinese ecommerce startups. While Amazon may have invented our online shopping addiction. China is where it is taken to the next level. Take China’s online retail giant Alibaba and its online platform Tmall for example. Tmall is a virtual shopping mall and every brand has an official store page, complete with videos and interactive content. There is usually a standard format, but the page can be customized to fit every retailer’s unique needs. Cosmetic brands, for instance, can livestream their makeup tutorials along with their products.This makes shopping online as engaging as shopping in person while educating users about their product without the need to leave the comfort of their home. This serves not just as a point-of-sale, but also a key branding platform through real-time engagement and an extra layer of interaction. While ecommerce sales are on the rise, majority been pouring are still made in real life, Knowing this, Alibaba and its smaller rival JD.com despite making about 80 percent of ecommerce sale, have both been pouring billions into physical retail. In the last two years, Alibaba has spent billions of dollar in establishing a physical footprint that includes a grocery store chain, a luxury shopping center, as well as their own branded mall in Jack Ma’s hometown of Hangzhou. Recently, Alibaba has even made a single US$29 billion investment in hypermart operator Sun Art. The thing is Chinese ecommerce are not just expanding to physical retails but rather revolutionizing the way it works. In last year’s Taobao Maker Festival, Alibaba featured two new technologies to disrupt the offline retail space. 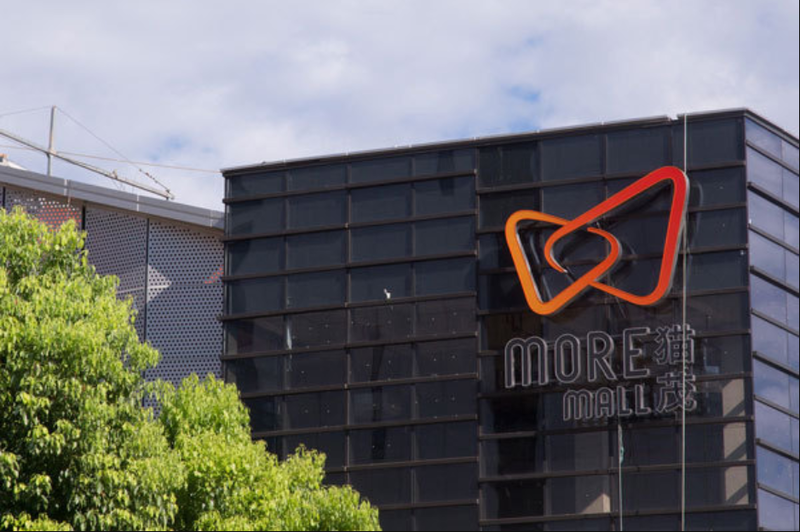 First, it was embracing the new retail strategy where big data technology connects and optimizes offline outlets and online stores to enhance customer experience. Second, the ecommerce giant released an experimental cashierless store called Tao Cafe and smart speaker Tmall Genie. 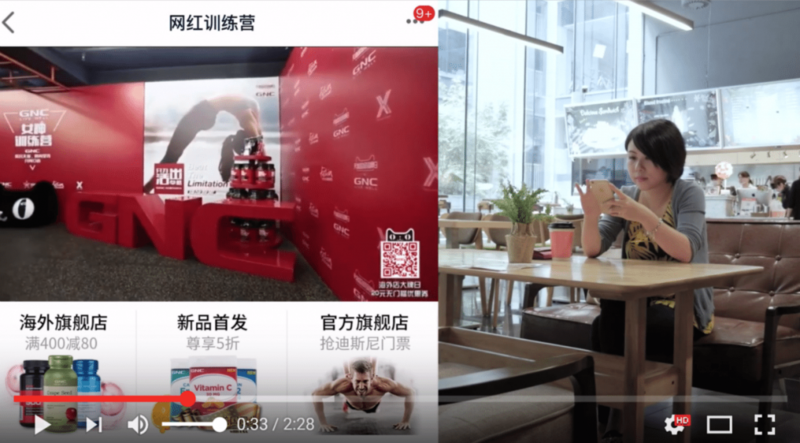 Competitor JD.com also sees the future growth is offline given their release of Take, a new technology tool for physical retailers. By combining online shopping trends with sensors in-store, the tech aims to provide better insights into offline shopping behavior. While there’s Black Friday and Cyber Monday in the United States, China has Single’s Day, otherwise known as the Double 11 shopping festival with big deals and promotions. The founder of the holiday was Tmall’s CEO Daniel Zhang, as a way to make single people less lonely. But soon the holiday has blossomed into the world’s largest single shopping date exponentially. For comparison, Alibaba’s 2017 total sale was RMB 162.8 billion, which translate to roughly US$25.3 billion, and is more than Cyber Monday and Black Friday combined. 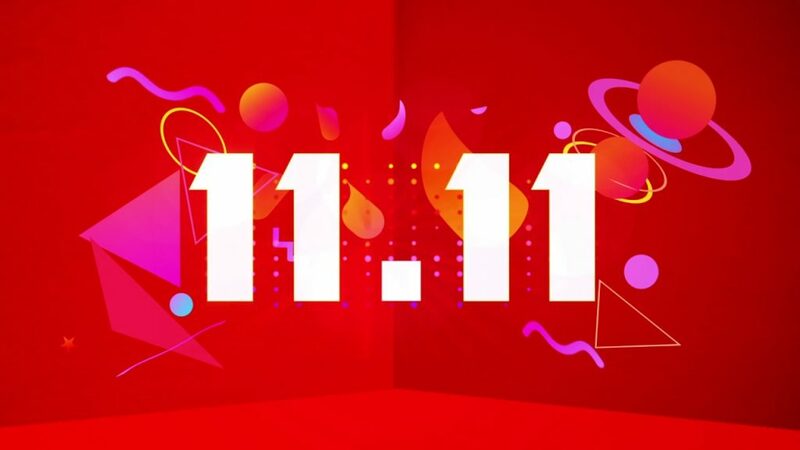 Another significance for Double 11 is not just its sales, but rather the date has morphed into an important multi-day shopping festival complete with a live stream gala event featuring Jack Ma dancing to Michael Jackson, an interactive runway show, and a new retail dream. It’s not just another day of sales. A newer trend that has crept up in China is the symbiotic partnerships between e-commerce platforms and brands in terms of distribution and design. Especially on big shopping occasions, it is not uncommon for e-commerce platforms to set up pop-up shops in high traffic locations — usually with brands that do not have physical locations of their own. The goal is to provide a hands-on shopping experience and then purchase online. For example, the collaboration between Beats by Dre and Tmall has popped up that lets users experience the power of the new Beats noise-canceling headphones by simulating what they would feel like on an airplane. There is no cash register in the store, just tablets to place your order via Tmall and have them delivered to your home. Another example of partnership is in the form of exchanging data for intellectual property. 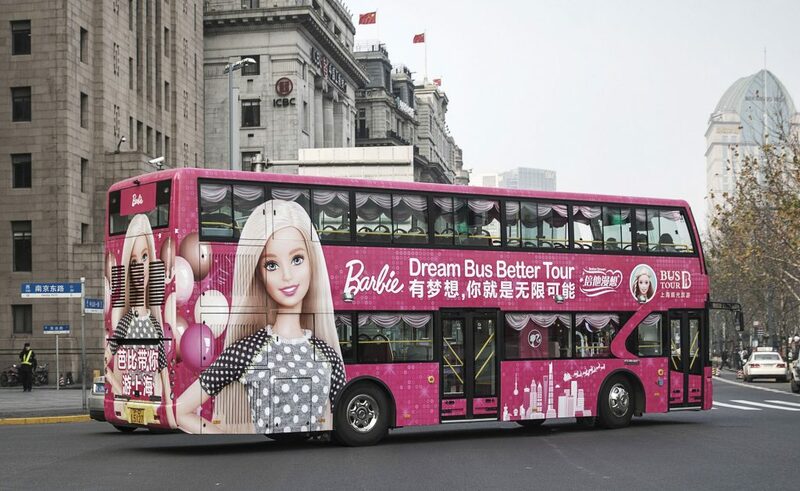 Mattel, whose brands include Barbie and Hot Wheels has inked a deal with Alibaba, to exchanging browsing behavior to inform new product designs, as well as selling its products to Chinese consumers on Tmall. Ultimately, the design of ecommerce sites in China has made their shoppers treat e-commerce platforms as more than just another purchase platform, they do not just visit it during sales day. Chinese consumers head on to ecommerce site for exploration and discovery, it’s just like going to the mall but just at the comfort of your home. At times, they even go online just to see what’s new or trending, not just when there’s a need to purchase. In the years ahead, with the innovative streak presented by China’s ecommerce platforms, it is most likely that one day a change of dynasty will arrive.